I had many jobs before I worked for a major food corporation in food products Research and Development for 18 years. It was incredibly interesting work and over time I was promoted 3 times. I was given tons of resposibilities and in my latter years travelled a lot for company reasons. I wasn't a scientist or a higher up person in the company, I was a technician. The company decided to move and I didn't want to move so my employment was terminated and I received a package. I worked at a few terrible jobs till I found another job as a technician for a medical device company. I worked there 4 years before I was laid off. The year before my lay off I did technical writing and I had no experience in it at all. My boss groomed me and went over every report that I wrote to critique it. At first it made me cringe to have someone to look at my work like a school teacher, but I learned so much from him that eventually, I was happy to have him make sure all was perfect. His name went on the report too so he surely didn't want something distributed that was not in order. The thing is, I really miss doing that kind of work. It used to consume me in a good way and at times I didn't want to go home because I was on a roll with all my creative juices flowing! I do not have a college degree so persuing a Techinical Writer position is near to impossible in that field. Plus, age descrimination. But I was wondering if anyone had any thoughts on how I can put my technical, creative mind to use writing some type of reports? Not interested in novels. Wouldn't mind working with someone researching some topic but have no idea where to begin! Go to the book store and go to the "How To..." section. Write down all the publishers. A little research will give you contact information. Many of these publishers have work at home staff. They publish How to do almost everything... you might find it fun. Travel publishers also love people who can write clearly about something for travel books, pamphlets, etc. You might get to travel (if you want to). Start a technical blog. You can research almost any subject for your blog and write to clarify instructions for people. Once you have clarified something for someone, send a copy of it to the manufacture. You would be surprised, they might hire you to write for them. Check with government contractors such as L-3 or DS-2 - they often hire tech writer slots based on work history and experience. Another thought - as Wendy mentioned - you might look at other endeavors that allow you to use that creativity in other ways. Enjoy the freedom to explore other things in life that you might find you love even more than what you have done for so long. You never know what you might learn about yourself! Experience new things that could bring great enjoyment and enthusiasm to life. First i don't think you have lost your identity. it is obviously still inside you and active by the writing style on your post! it sounds like you discovered a talent you didn't know you had, and now you want to keep using it for your own satisfaction. i like wendy's s suggestions. we seniors have a hard time gearing up into the modern tech way of looking for jobs. wendy is right. the online options are out there. or rather in there -in the computer! and it make take several tries to latch on to what you want but doesn't everything take a couple of attempts. you are capable and intelligent. you will find what you want. start looking, let us know how it goes. You can write online... do a Google search for "technical writing jobs" or "research jobs" and you'll likely find local jobs. Use "online" or "freelance" and you'll likely find jobs posted for online workers. Nobody needs to know your age. You will focus on your skills alone on your profile. 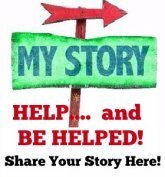 Write to me using About Me ===> Contact Wendy, at the top of the page and I'll help you a bit more.